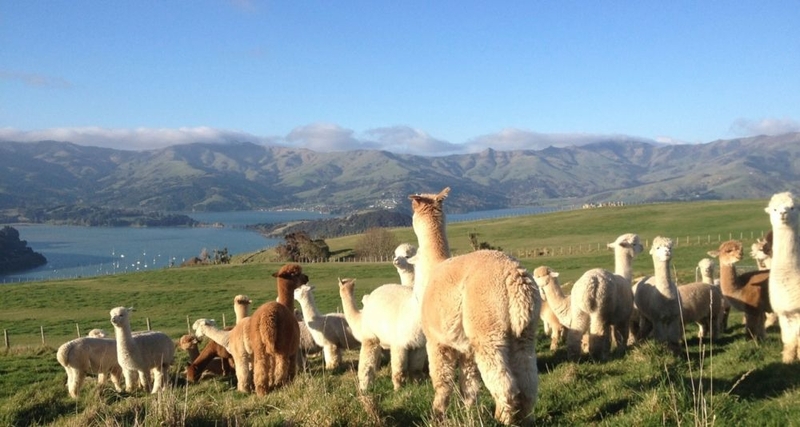 Visit an award winning alpaca herd, in the stunning setting of Akaroa. 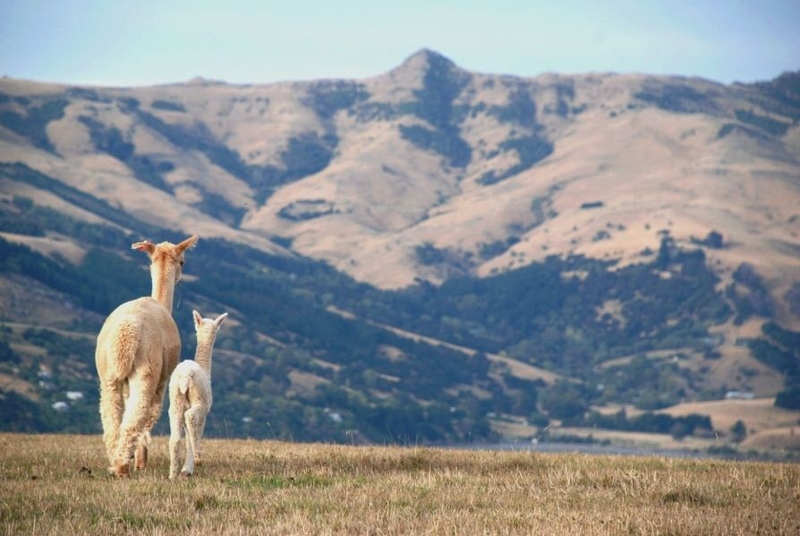 Located in the Banks Peninsula, about an hour's drive from Christchurch, Shamarra Alpaca Farm Tours offers visitors close up encounters of its award winning alpaca herd, in a stunning setting. 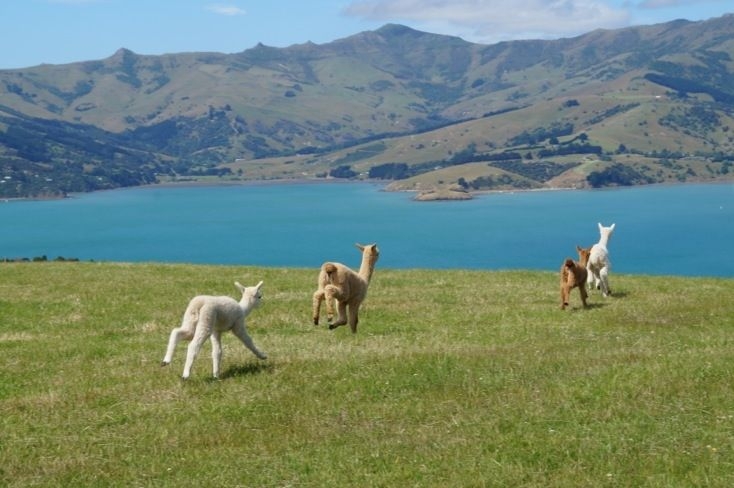 The farm is a 20 minute drive from the beautiful harbour town of Akaroa and is home to more than 100 alpacas on 35 hectares of land and panoramic views of the Akaroa landscape. On arrival, visitors have the opportunity to learn more about the animals and how they are farmed for their fleece. 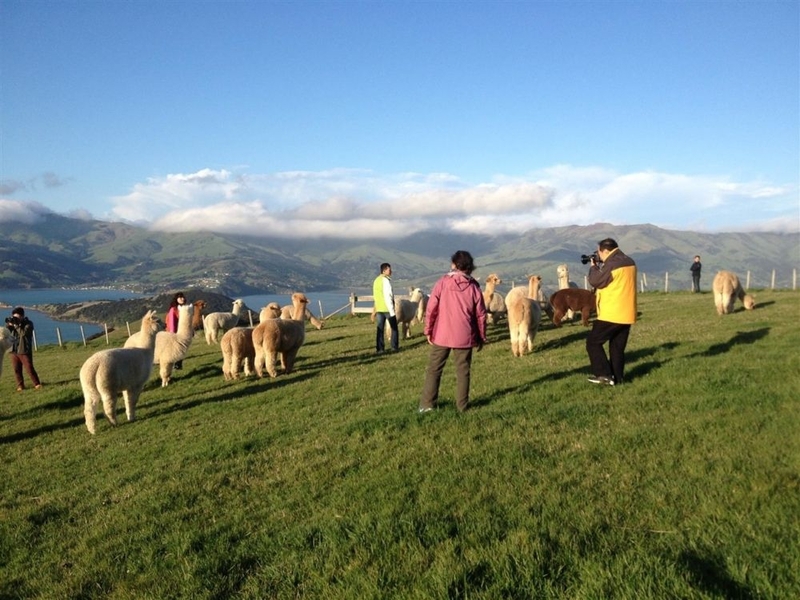 Following the talk, guests can wander around the farm visiting the alpacas in their paddocks and even getting the chance to lead one on a halter and feel the fleece that they produce. 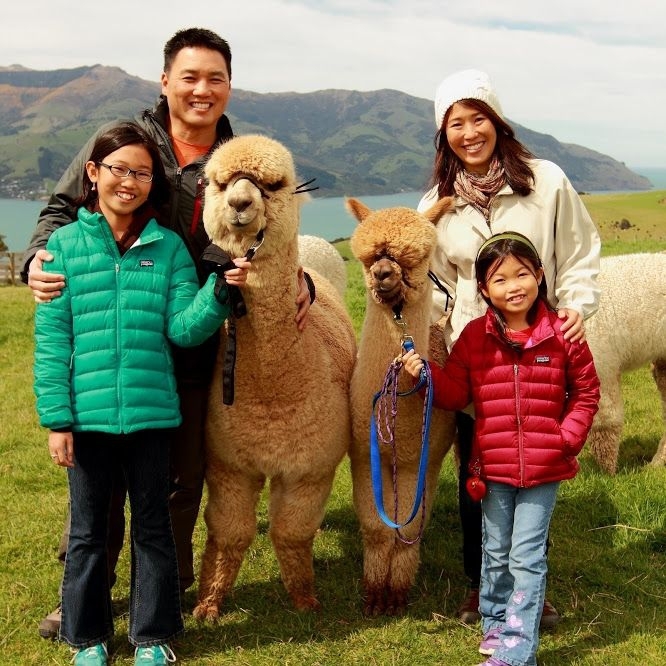 Owners, Frank and Anya have farmed alpacas since they moved to New Zealand from the Caribbean in 2004 and are always keen to share their knowledge and love for their animals with visitors. 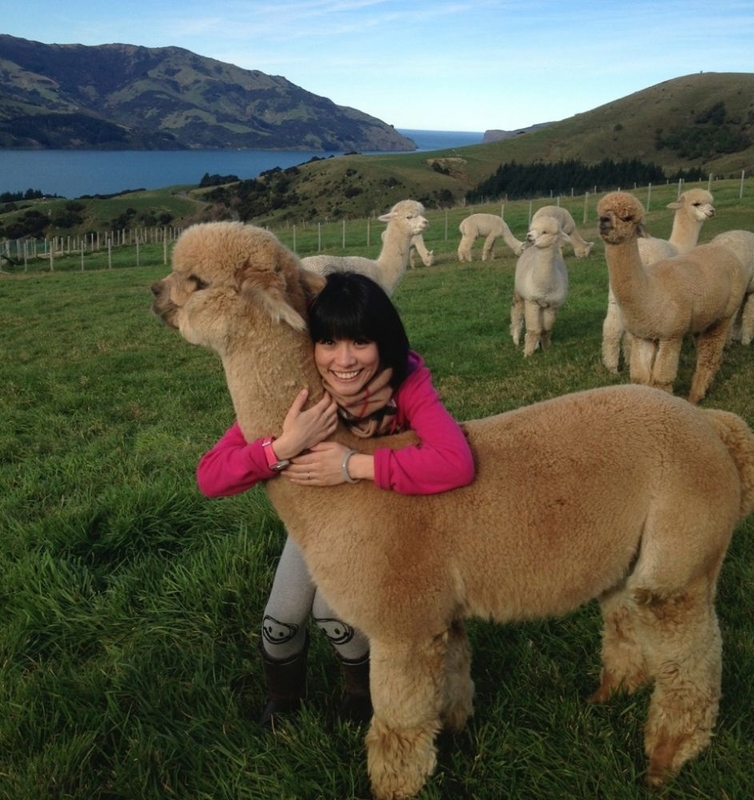 Anya, in particular, knows the name of each alpaca and can reveal a little about their personalities. 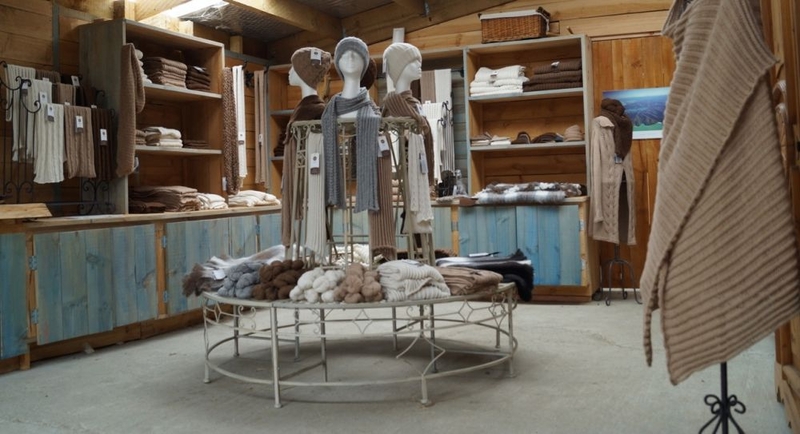 Following the tour, guests can browse the farm shop while enjoying a home-baked treat. 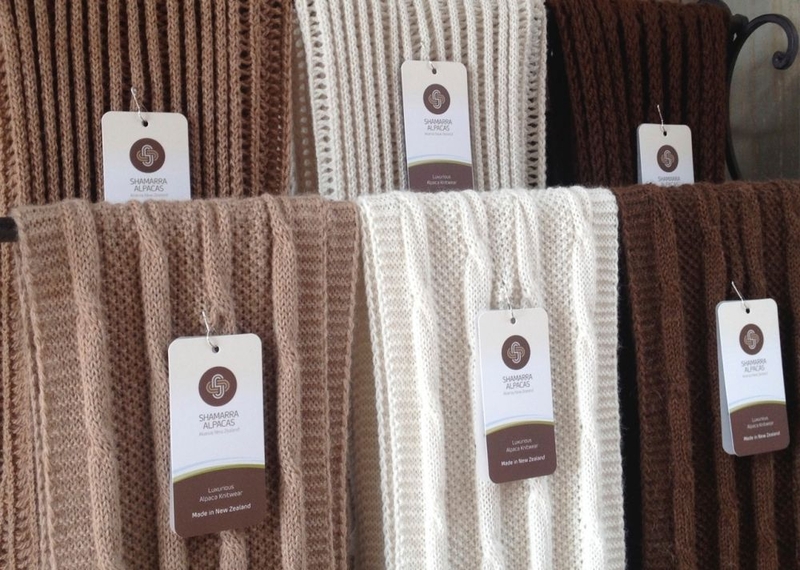 The shop stocks many items made from the fine alpaca fibre which is undyed and natural, such as blankets, scarves, shawls and hats. 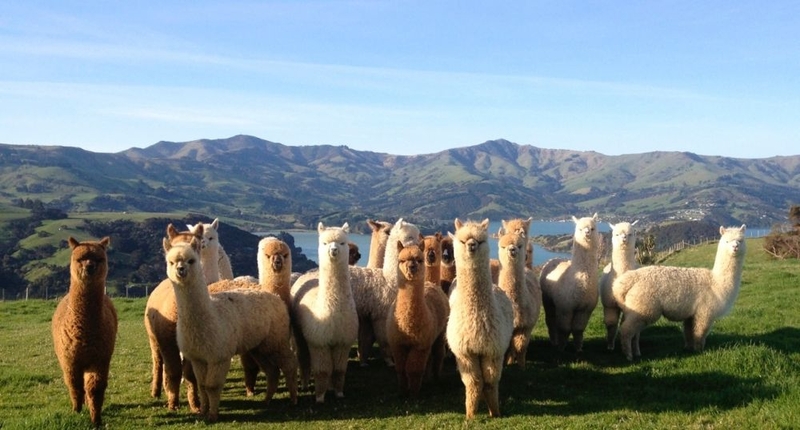 They make make a practical and pretty souvenir of a visit to New Zealand and are exclusive to Shamarra Farm. 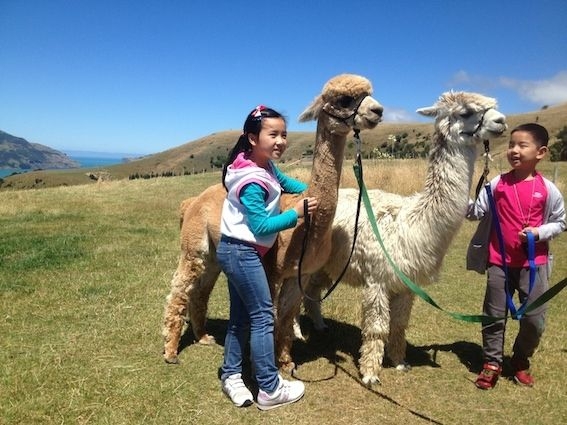 Visitors can drive themselves to the farm, while Frank and Anya also offer a pick-up service. Guests will be collected and dropped off at Akaroa's main wharf. 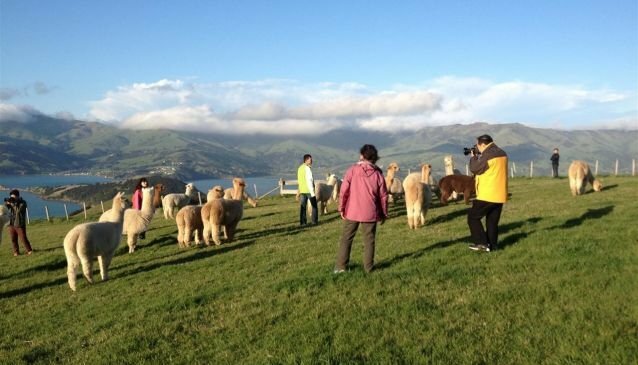 The Pick-Up Tour - Departs from Akaroa Main Wharf at 11.30am and returns at 1.30pm. Other times are by arrangement. Minimum of 2 adults. Self-Drive Tours - 12.00pm / 2.00pm / 4.00pm. Other times by arrangement.